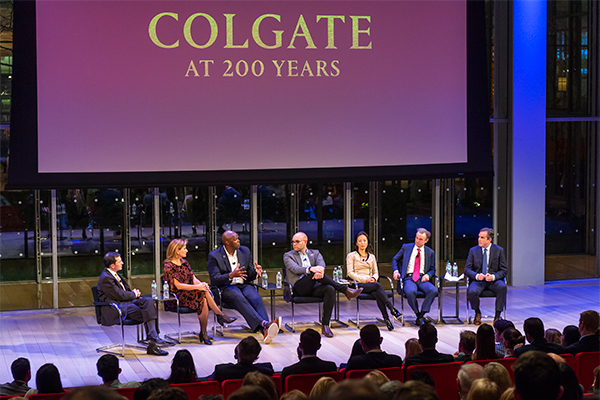 If Colgate’s founders could have traveled from 1819 to 1/8/19, they might have been in the audience to see seven of the University’s most influential alumni as they took to the stage at the TheTimesCenter in Manhattan to engage in a thought-provoking panel discussion, simultaneously celebrating the 200th Professional Network Event and Colgate’s Bicentennial. 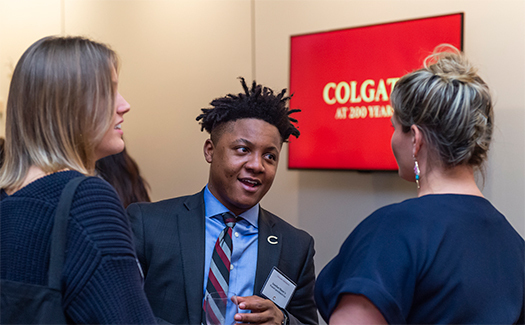 Launched in the fall of 2013, Colgate’s Professional Networks (CPN) were created to encourage career exploration and growth among students and alumni. 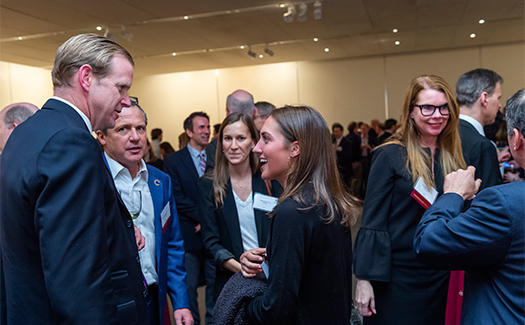 Five years and 200 events later, CPN events have become a nationally renowned example of alumni engagement and career support. 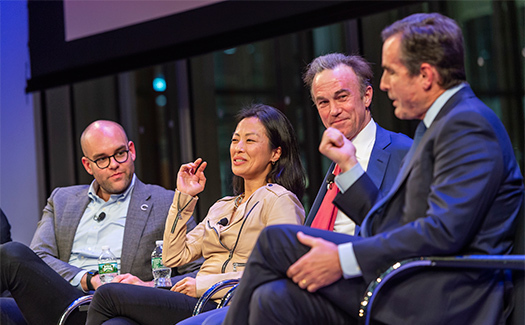 Moderated by award-winning journalist Bob Woodruff ’83, H’07, P’13, the evening panel included perspectives from President and CEO of Rockefeller Capital Management Gregory J. Fleming ’85, P’21; Circle Chief Legal Officer Gus Coldebella ’91; SK-Korea Foundation Chair in Korea Studies and Senior Fellow at the Center for East Asia Policy Studies at the Brookings Institution Jung Pak ’96; New York Times Editorial Director Elisabeth Goodridge ’97; Airbnb Americas Head of Public Affairs Christopher Nulty ’09; and author, advocate, and former NBA player Adonal Foyle ’98. 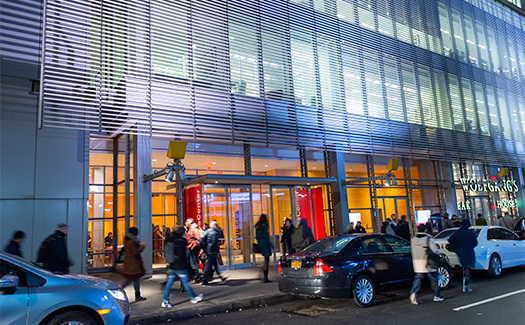 In true liberal arts fashion, panelists weighed in on topics related to national cybersecurity, nuclear proliferation, campaign finance reform, geopolitics, the media, and global financial markets. Woodruff guided the conversation, finding common threads and connections between seemingly disparate subjects in a way that brought forth challenging questions, potential solutions, and thoughtful debate. Rapid change was a theme of the evening. Fleming said he has seen financial market shifts in ways that were previously unimaginable, with China leading the way. “For the younger people in the room, the millennials, you are entering a world that could not be more different than the world I came from. There’s been a lot of change in 25 years,” Fleming said. 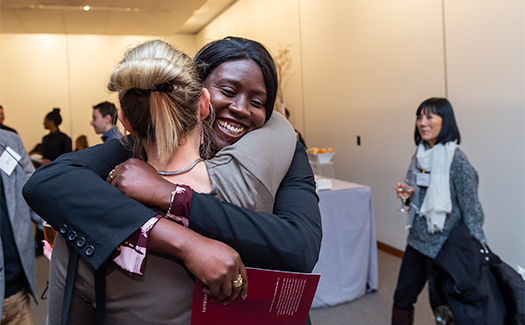 Pak said she, too, has witnessed tremendous change since her time at Colgate, and she advised current students in the room to follow an educational path that interests them over what might be the current state of the world.